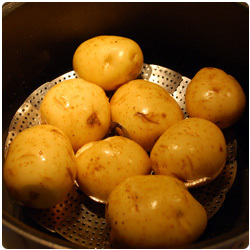 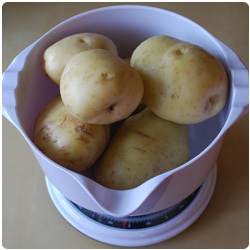 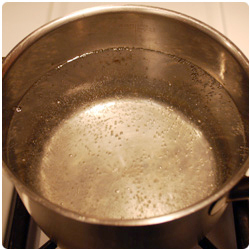 Boil 900g of white potatoes and peel them after the cooking. 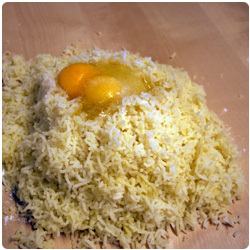 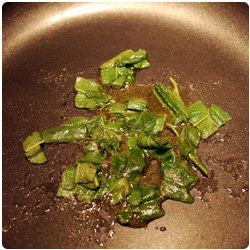 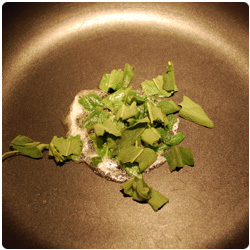 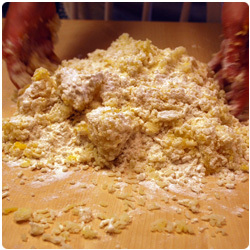 On your table put 150g of flour, mash the hot potatoes over it, add 2 yolk eggs and a teaspoon of salt. 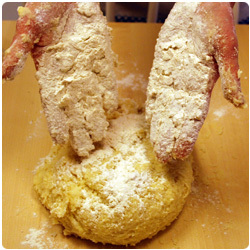 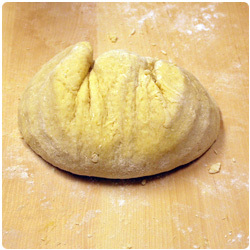 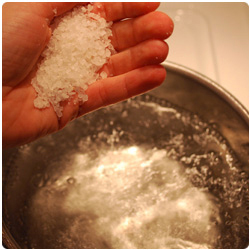 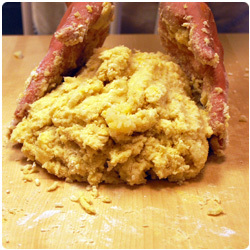 With your hands mix everything, adding extra flour if the dough sticks on your hands. 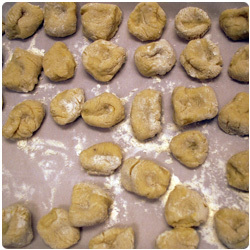 Put the gnocchi in a tray with some flour, so they won't stick on it. 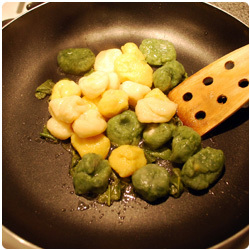 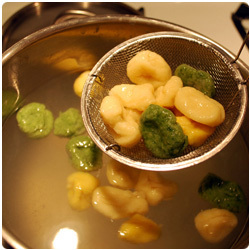 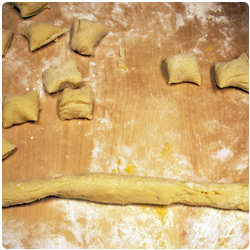 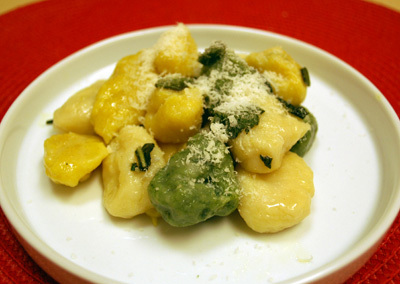 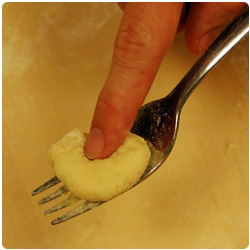 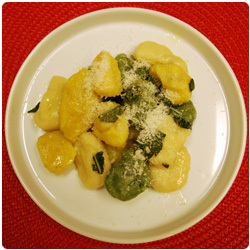 You should eat the gnocchi as soon as possible, if you want you can freeze them for later. 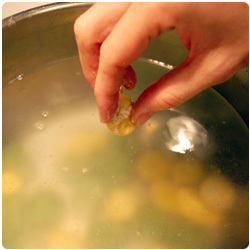 Once you want to eat them, follow the process below, you don't need to defrost them first.